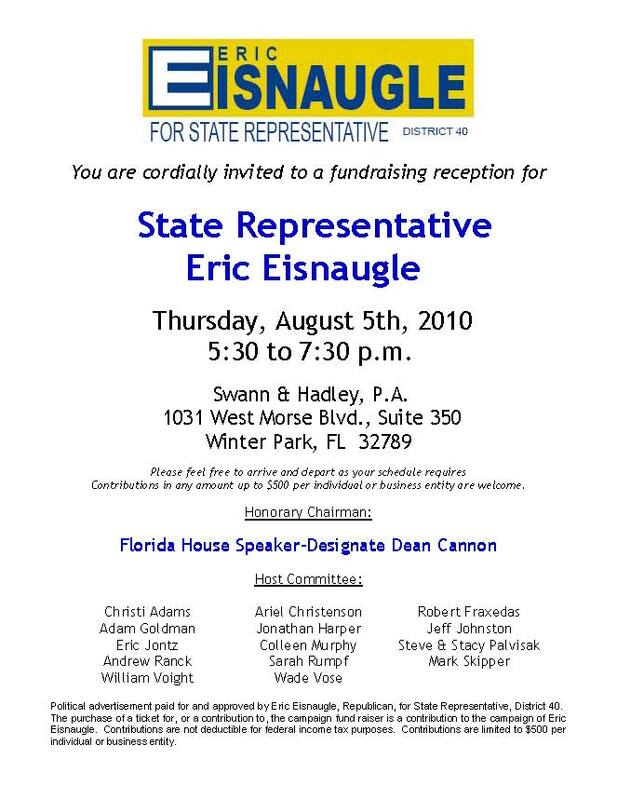 State Representative Eric Eisnaugle (House District 40) and his wife Carrie have been friends of mine since we were all law students clerking at firms here in Orlando in the summer of 2002. Eric and Carrie were the ones who invited me to join the Orange County Young Republicans, and I've really enjoyed being involved with the OCYRs these past few years. I was proud to endorse Eric in 2008 when he first ran for office, and I've been proud of the solid conservative track record he's established while in Tallahassee. He's a great representative for Central Florida. 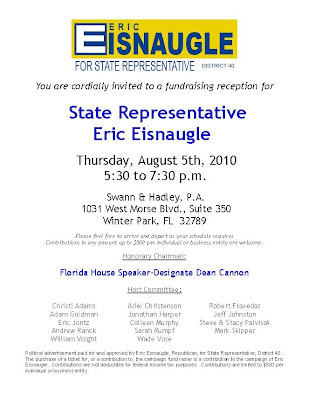 Come meet my friend Eric for yourself this Thursday, from 5:30 to 7:30 p.m. in Winter Park at the law firm of Swann & Hadley, 1031 West Morse Blvd., Suite 350. 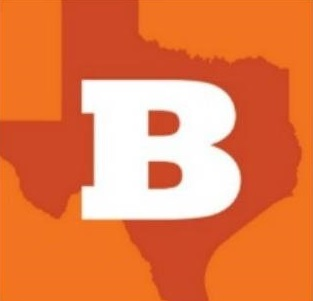 If you can't stop by on Thursday, then you can learn more about Eric at his website, his campaign Facebook page, or follow him on Twitter at @EricEisnaugle.